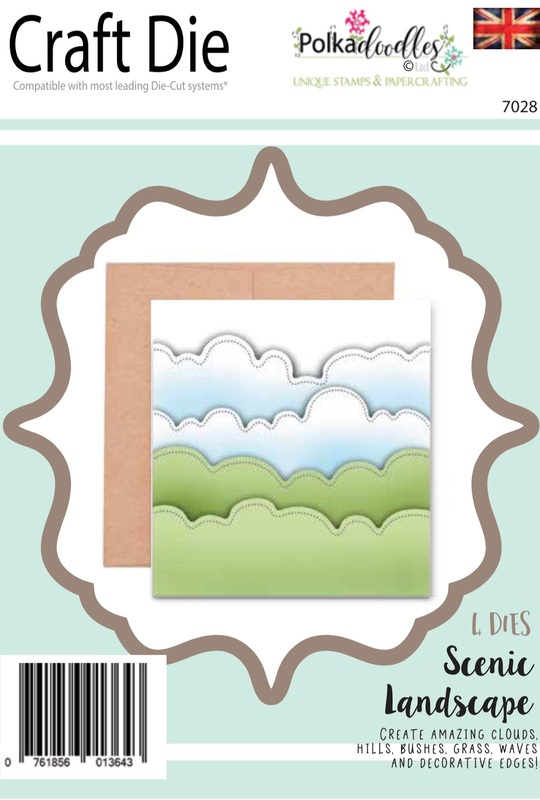 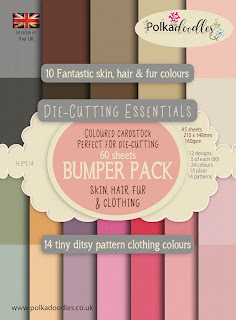 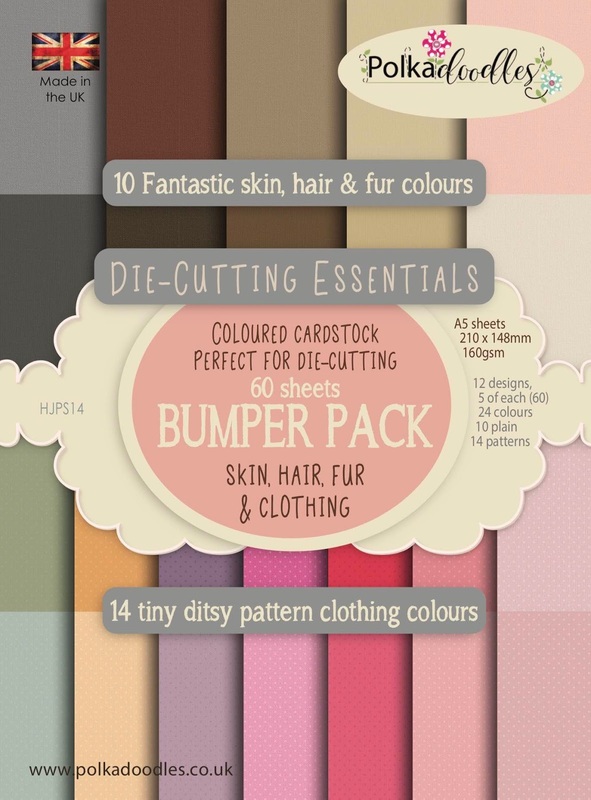 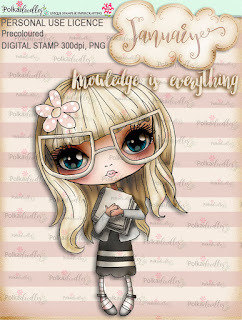 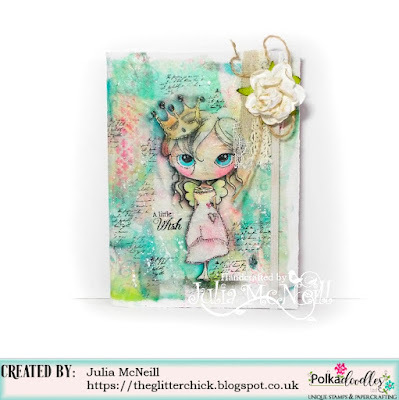 Julia - One think I love about Digital Crafting is it can so easily translate into the mixed media world .. 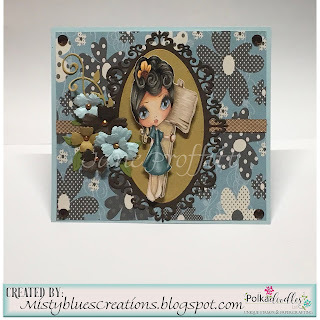 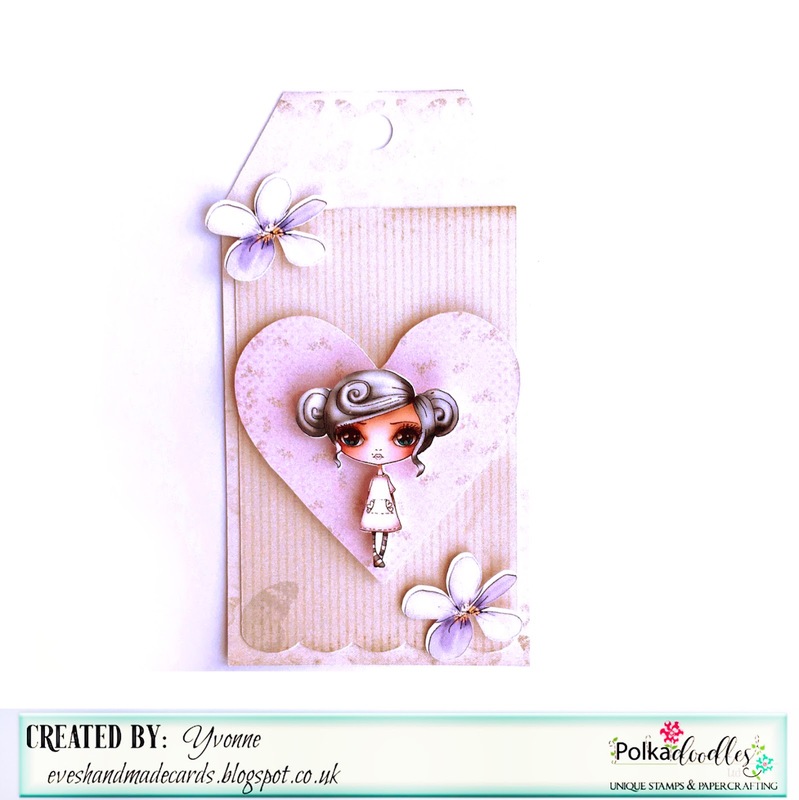 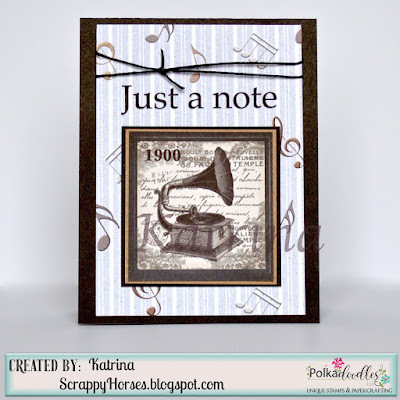 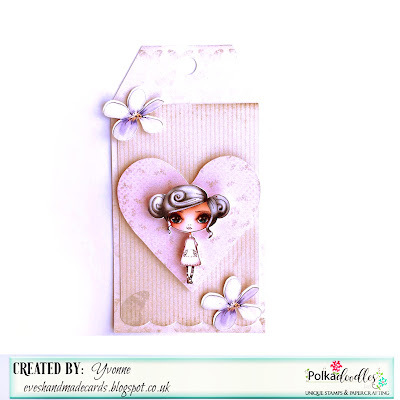 There is a lot going on with this make, full details and more pictures are on my blog .. 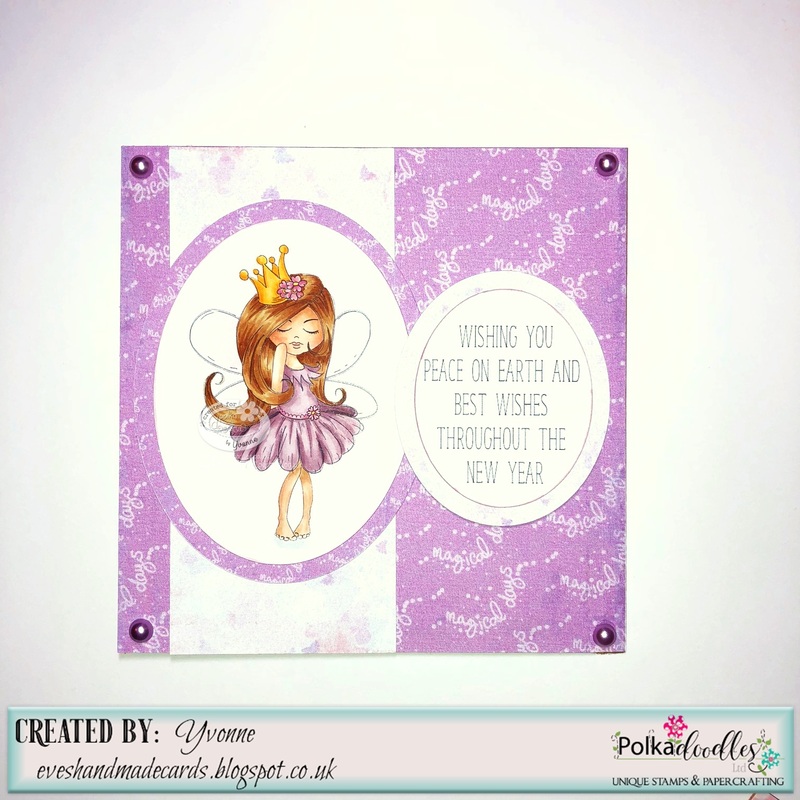 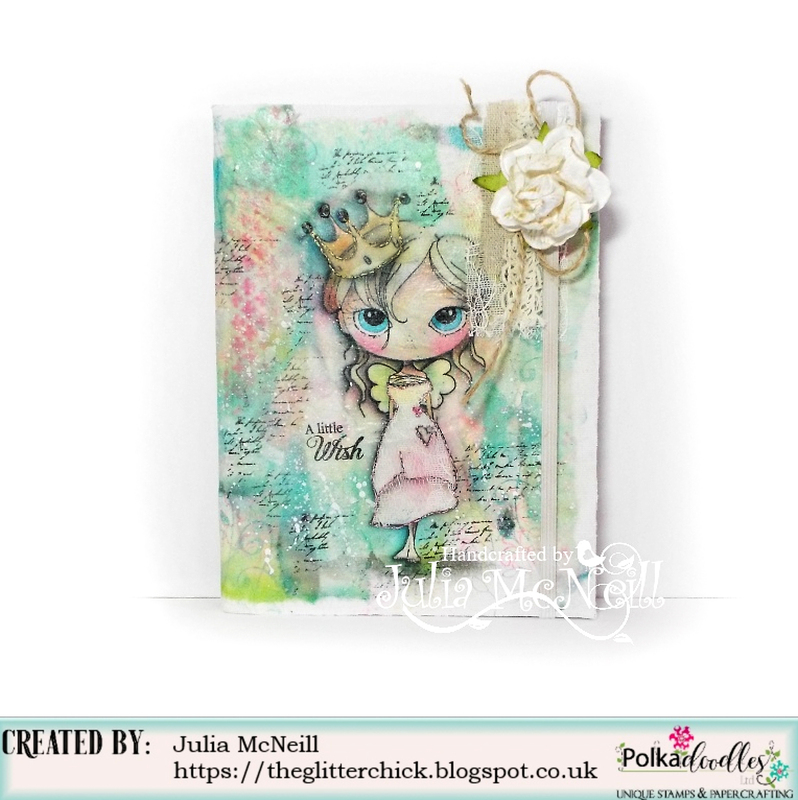 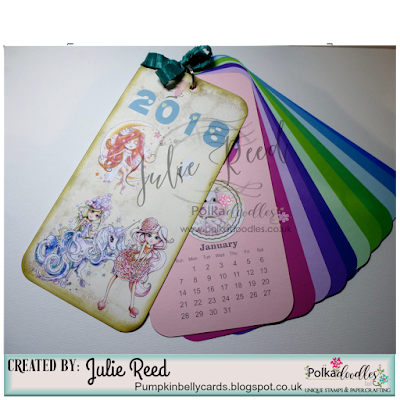 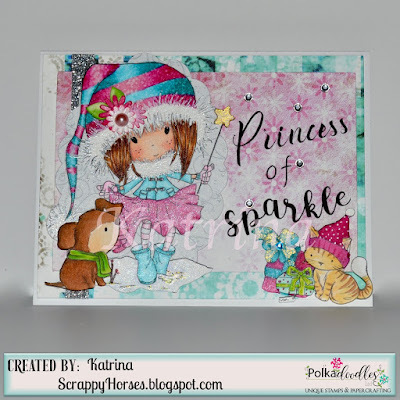 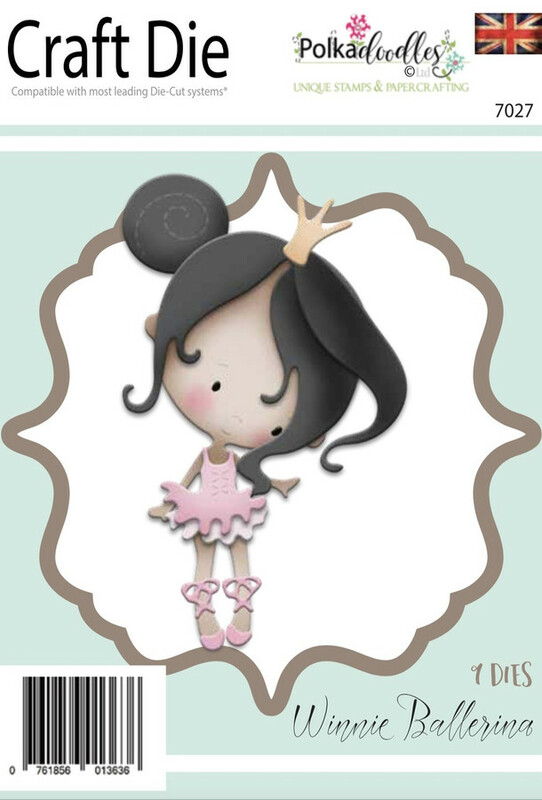 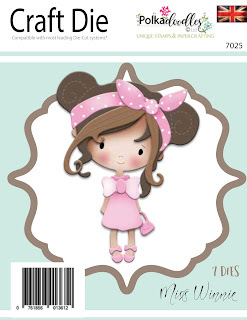 I have printed the gorgeous Pre Coloured Ula Be a Princess onto Rice paper, and given her a lace dress .. then stuck it all to a cheap notepad to create a beautiful Journal. 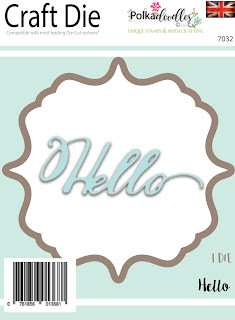 Yvonne - Hello! 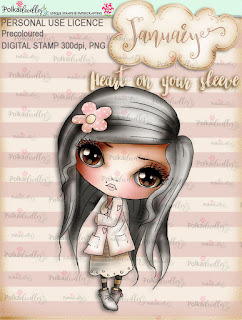 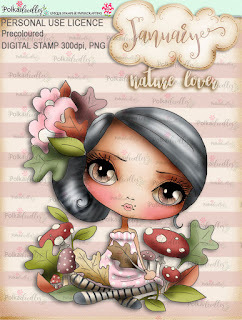 I decided to use an image from one of the newer collections called 'January' and I used the precoloured image 'Pocketfuls of Love' but you can also get this image as a black and white digi here. 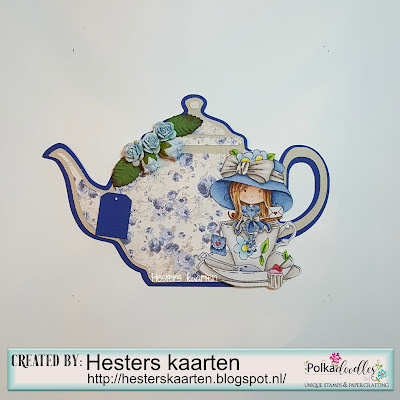 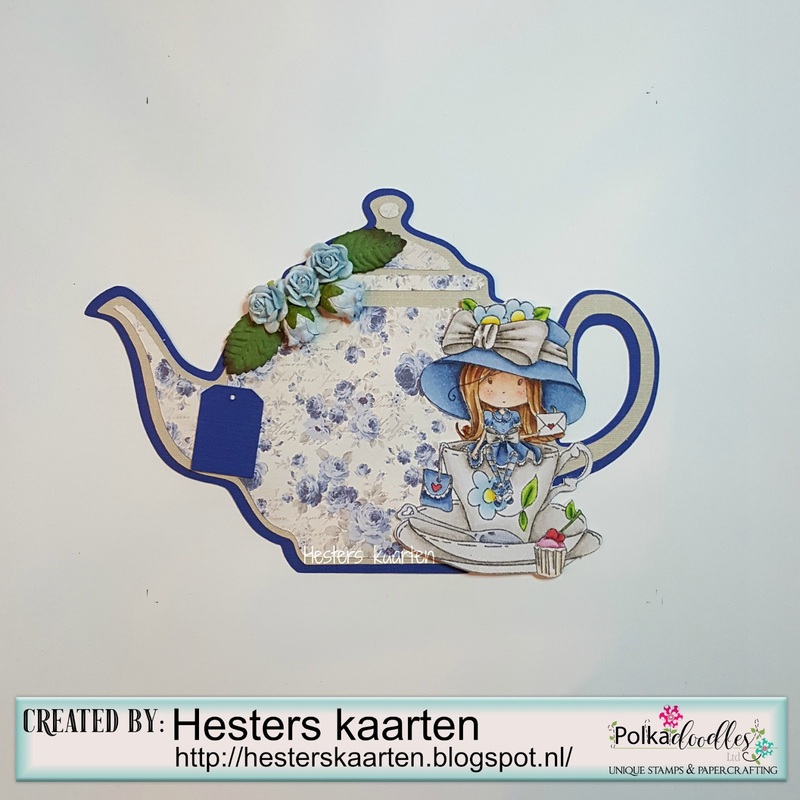 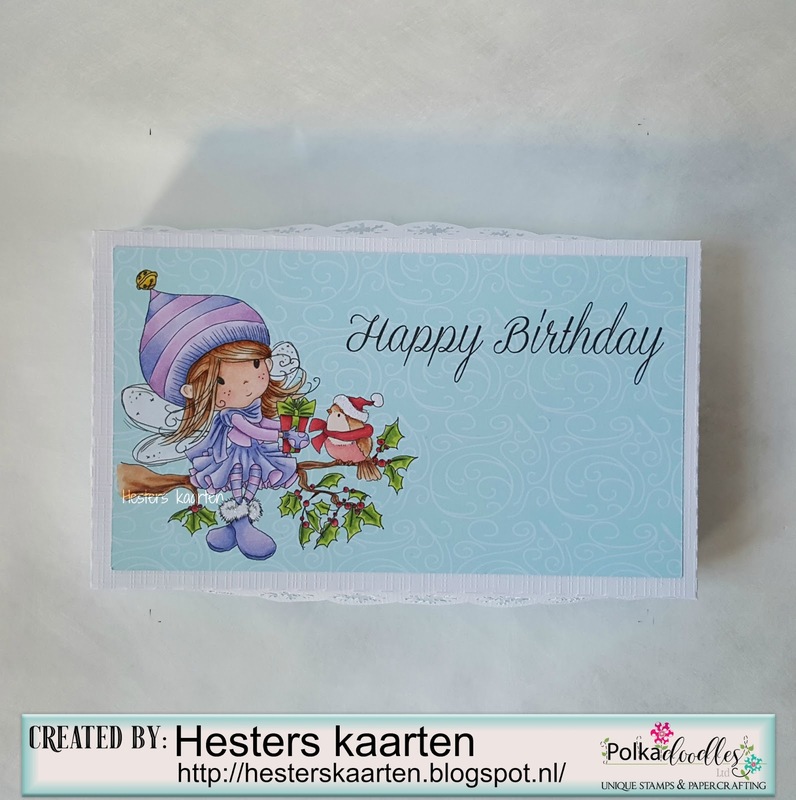 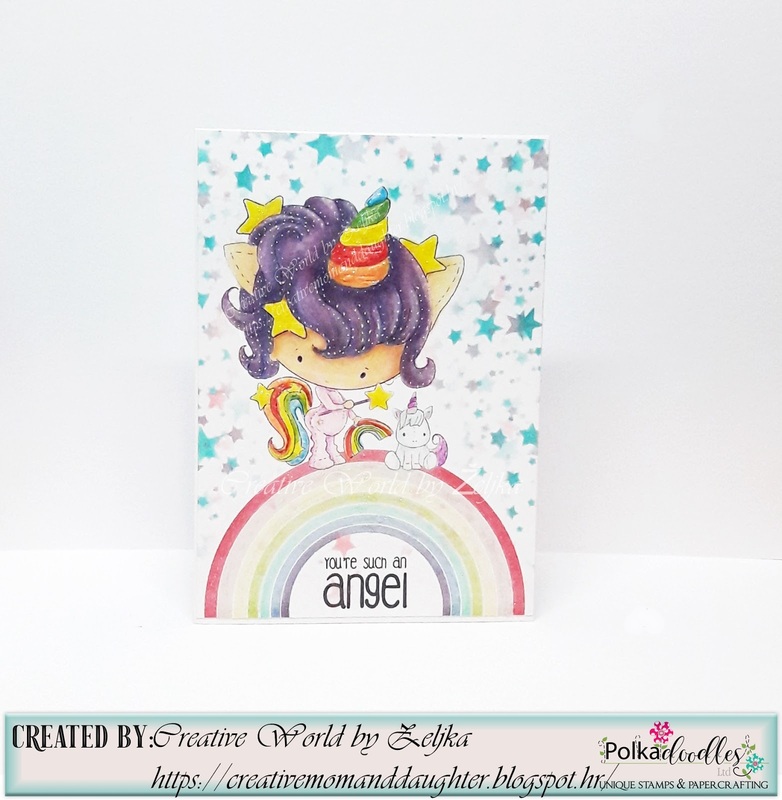 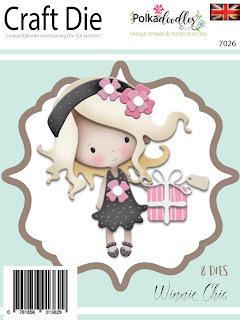 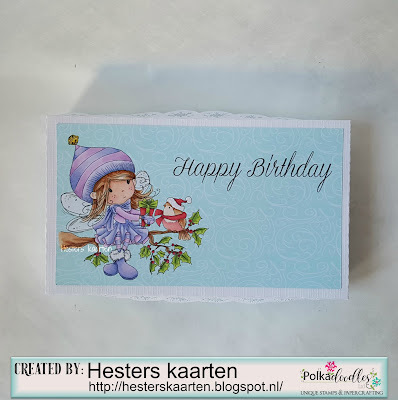 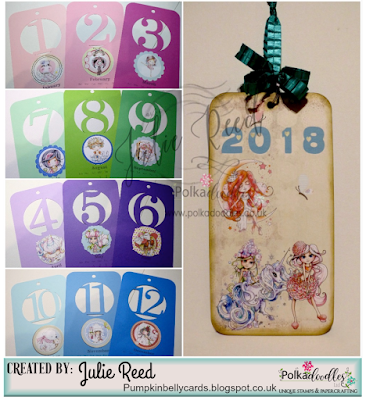 I made a tag using papers from Lil Miss Sugarpops #1. 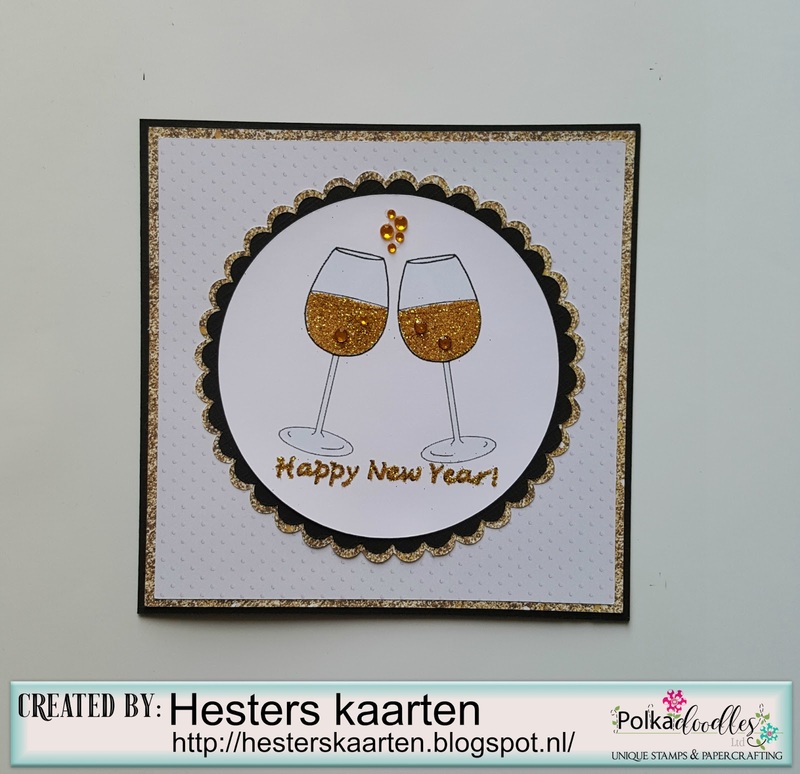 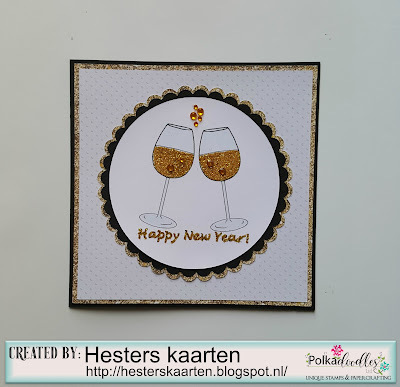 Katrina ~ I was inspired by Julie's coasters to make some Christmas trivets! My PRE-COLORED images and sentiments are from the Winnie White Christmas. 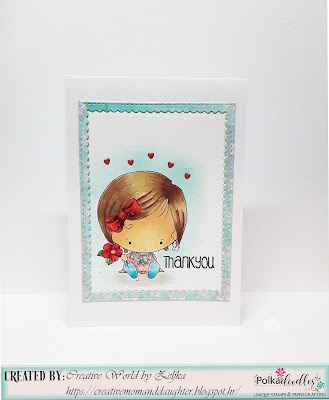 Anjie - I've used the cute Winnie Special moments collection to make this cute card. 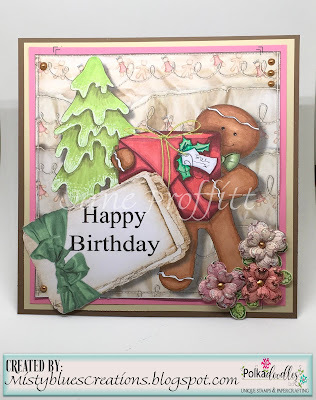 All the details are on my blog as always. 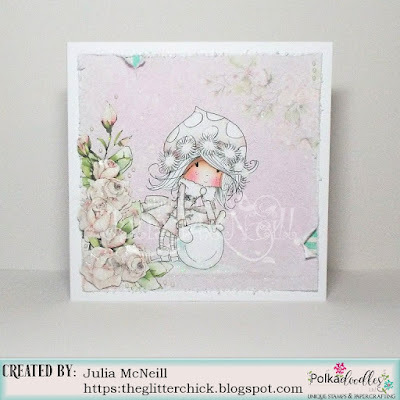 Julie Reed - This week I attempted a Northern Lights background to use with the sweet Reindeer from Octavia Frosted Winter. 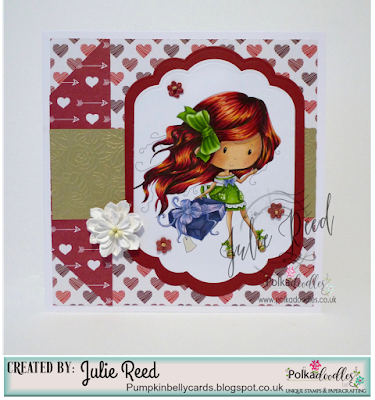 Jane S - I have used some of the gorgeous papers from Picknix 3 Nordic Winter and the fabulous Ula Be Strong...colouring her to look all Christmassy!! 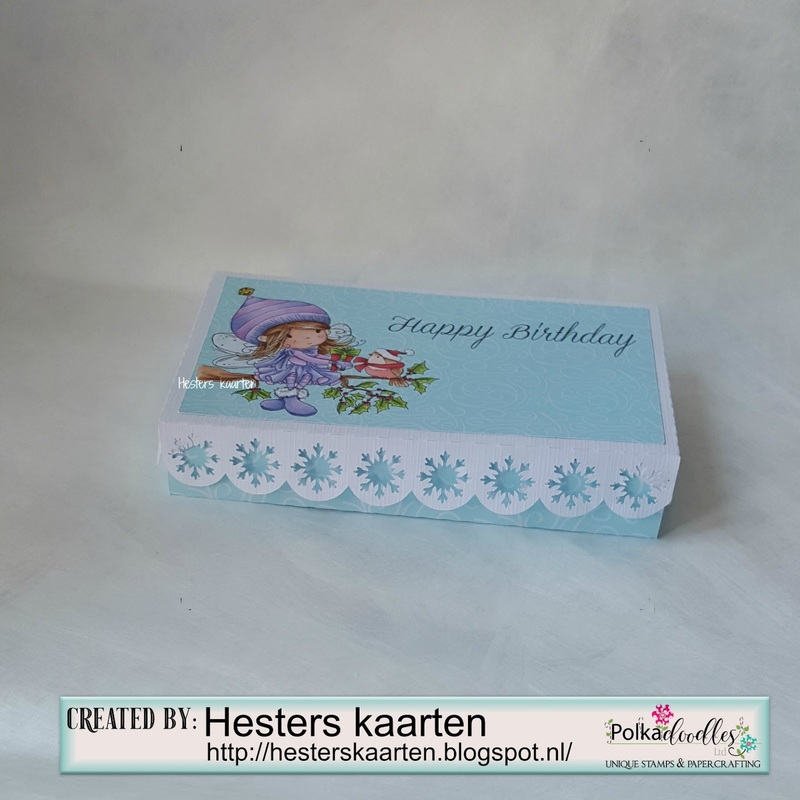 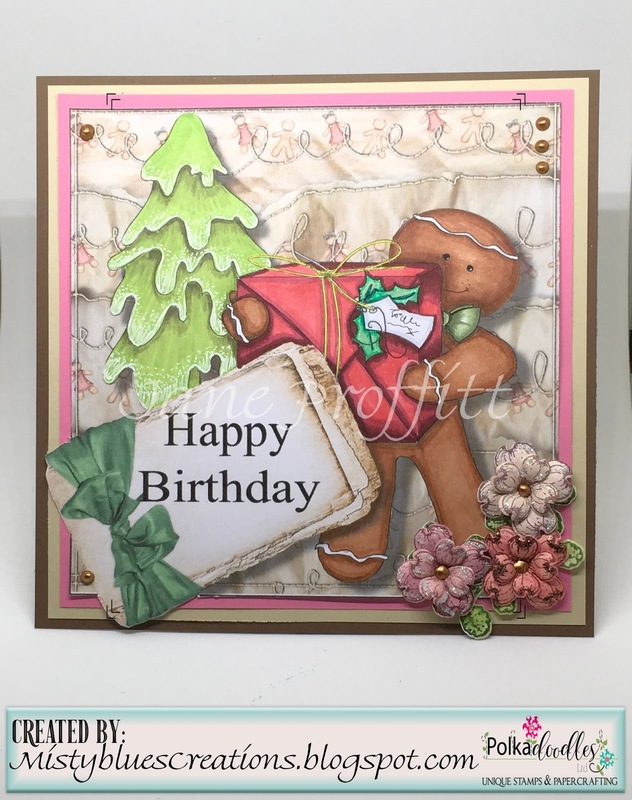 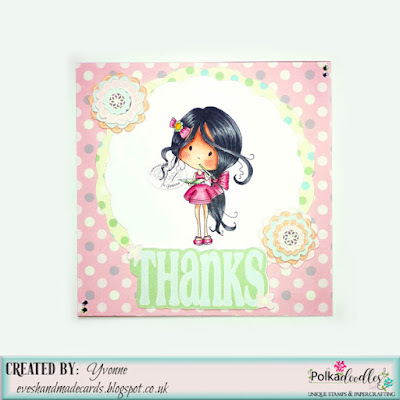 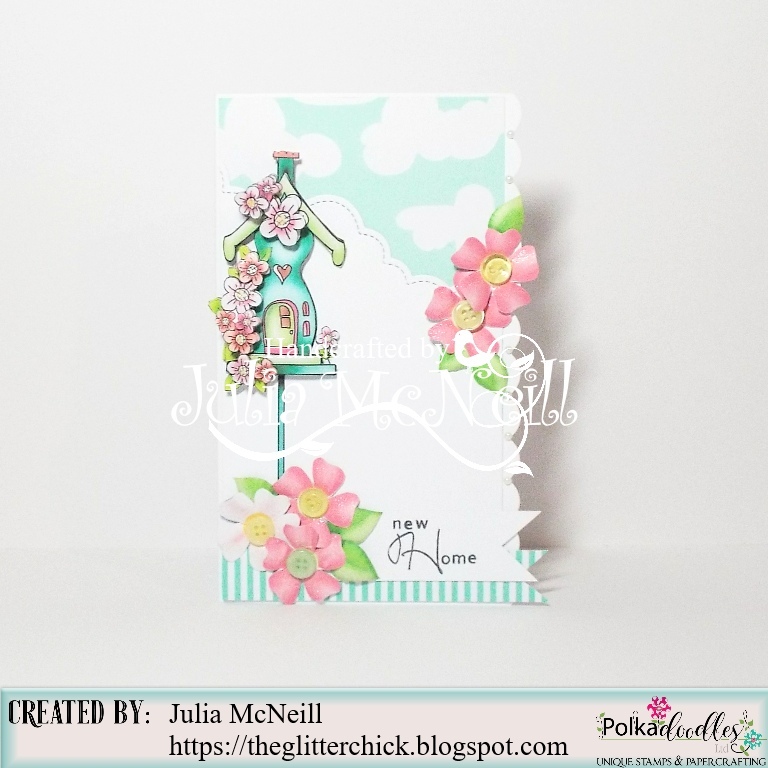 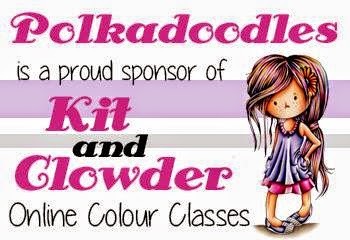 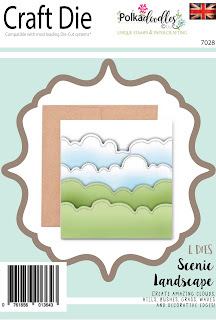 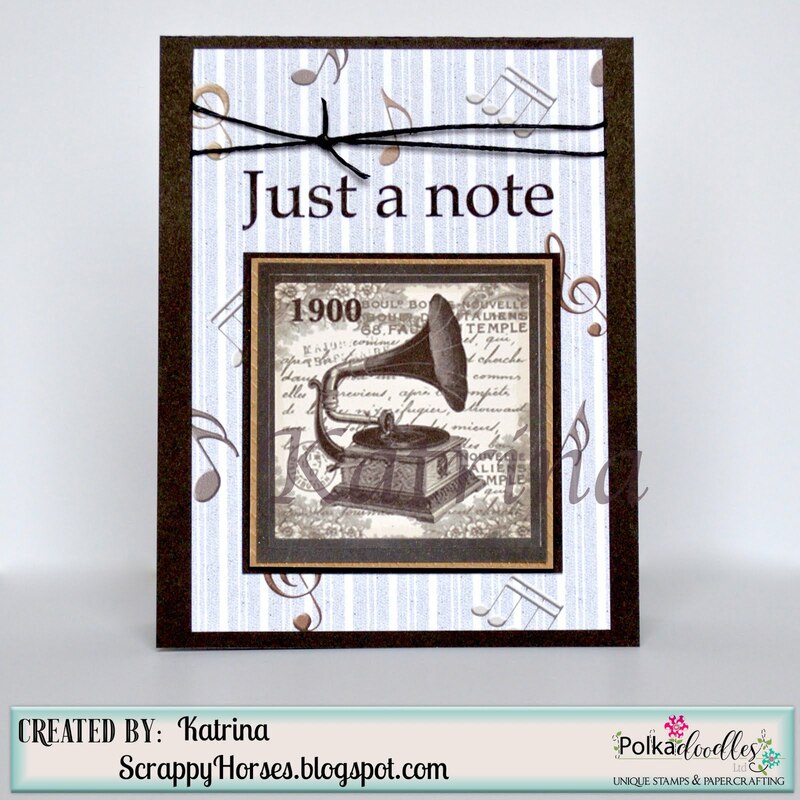 I have also used the Polkadoodles Ribbon Gift Frame Die Set. 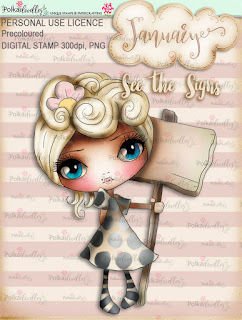 Jane P - I have used a combination of the See the Sign-January Image and paper from the Octavia Heaven 4 paper collection. 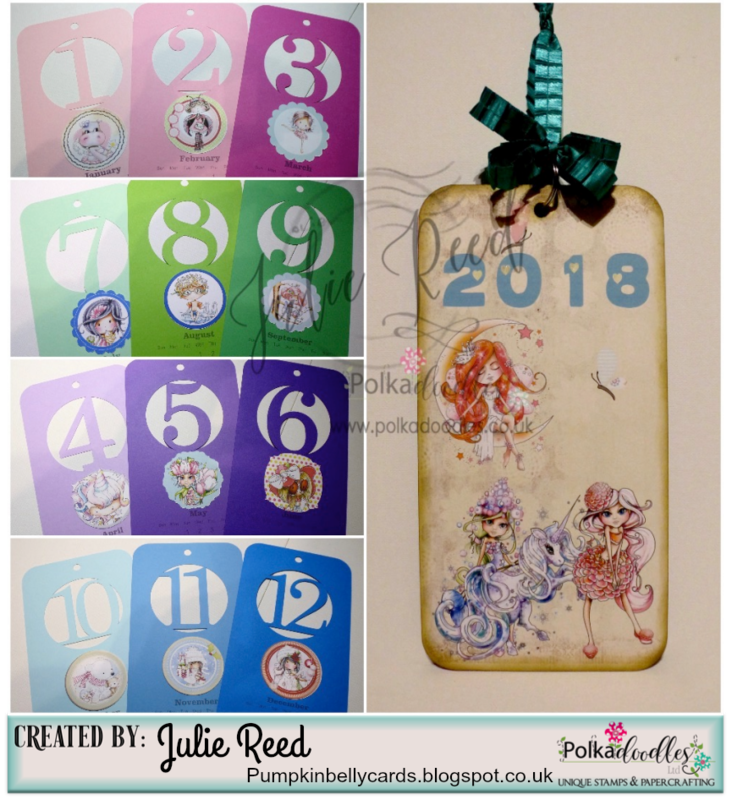 Claims must be received by 08/12/17, please refer to Challenge rules at top of blog. 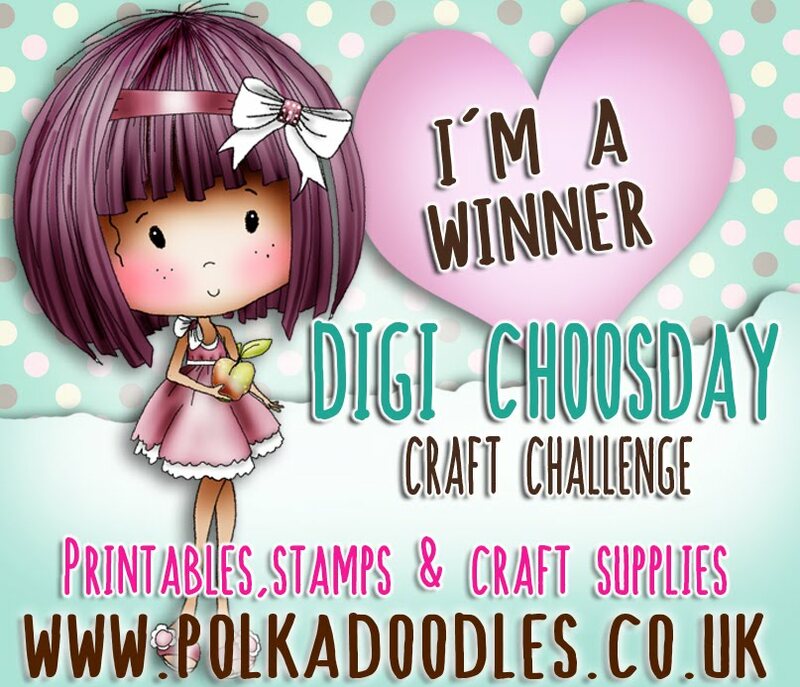 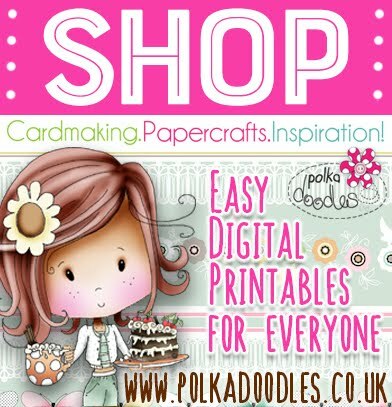 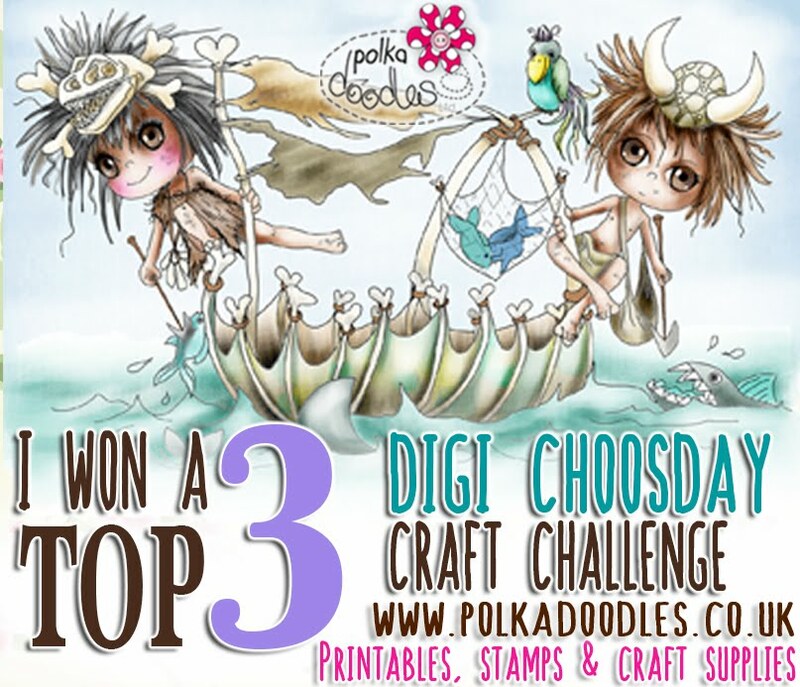 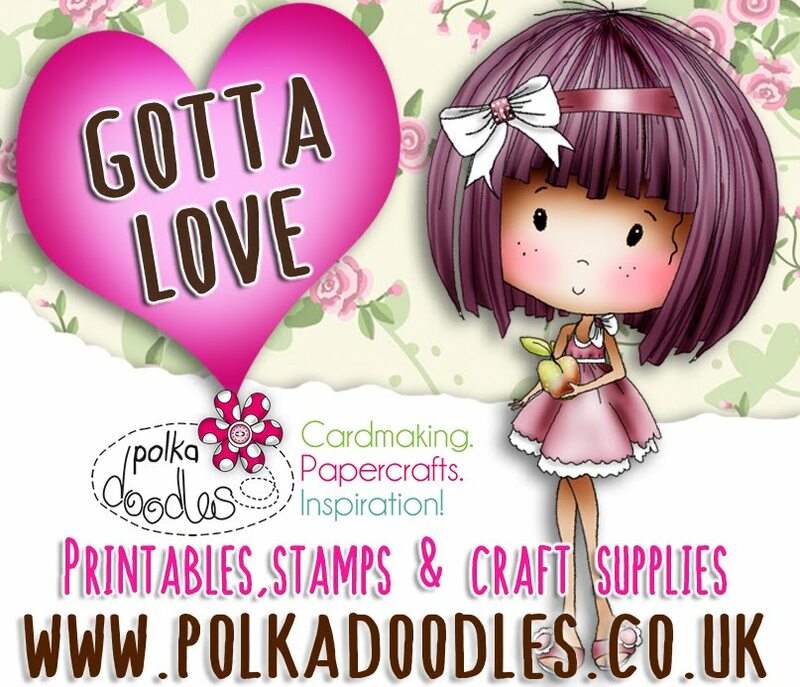 Please email us sales@polkadoodles.co.uk quoting DCW480001 to claim your prize of 3 digi images from the digi store!